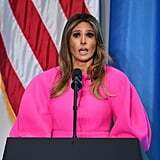 After wearing a fresh-off-the-runway plaid Calvin Klein suit for her first United Nations appearance, Melania Trump opted for a more perplexing ensemble for her second outing. 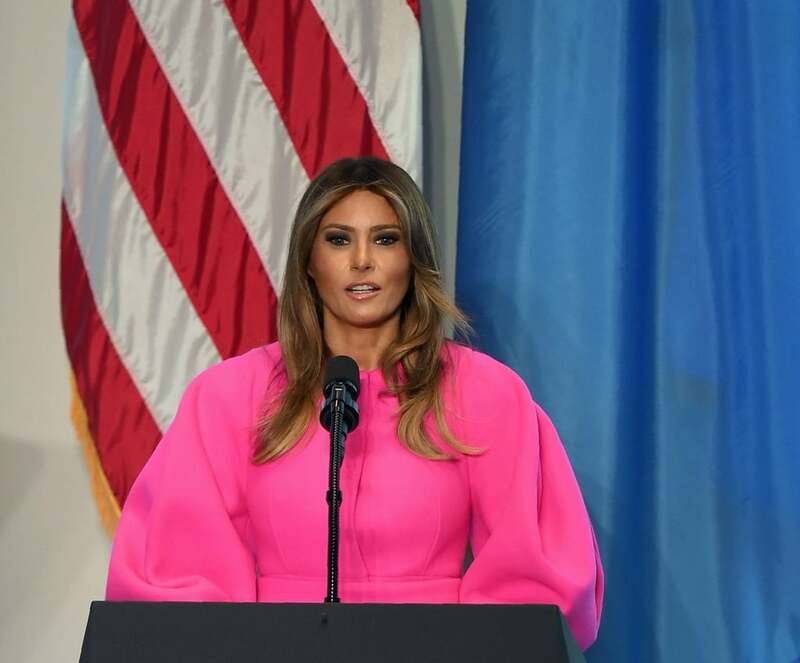 As part of the general assembly of the United Nations, the first lady gave a speech about bullying to other spouses of world leaders. For the UN luncheon, Melania chose a hot pink dress from Delpozo's Pre-Fall '17 collection. 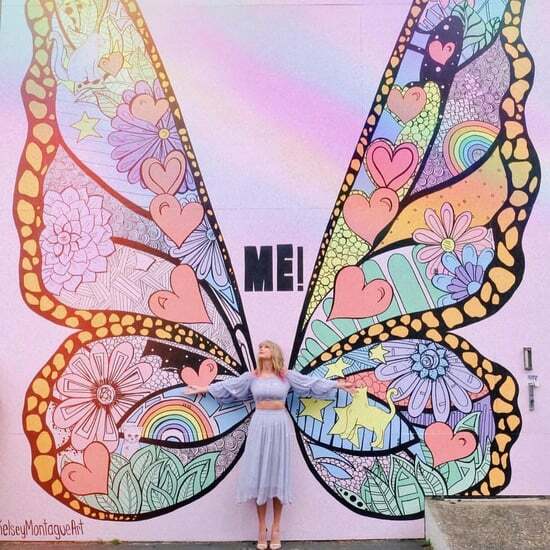 While we love the dress, it was an odd choice for the venue. With its bright color and billowing sleeves, the dress distracted from her speech and the occasion. Keep reading to have a look Melania's full ensemble ahead and tell us if you agree.